We are a small, artisanal producer focusing entirely on Riesling and Pinot Noir. We are made up of three like-minded and passionate friends--French Winemaker-Grower, Louis Barruol of Château de Saint Cosme in Gigondas and Finger Lakes partners Justin Boyette (Winemaker) and Richard Rainey (Vineyards, General Manager). 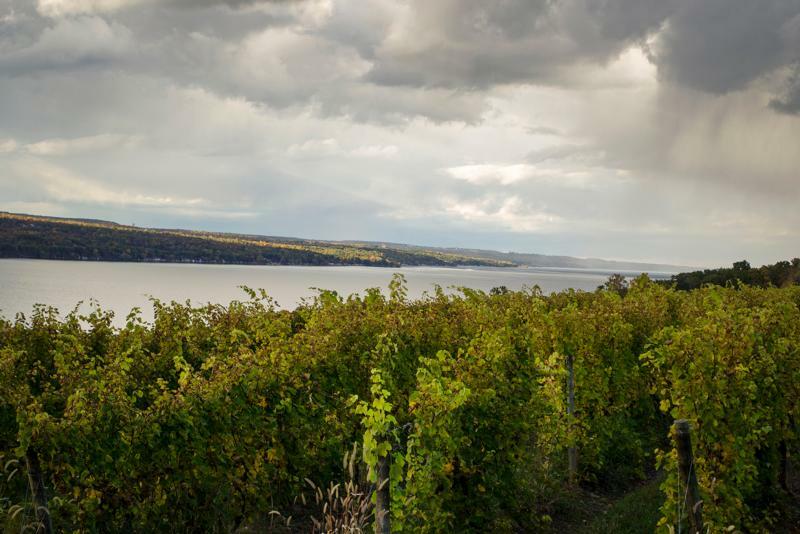 We strive to grow grapes and handcraft wines of interest and value that perfectly balance minerality, aromatics and fruit to reflect our exceptional Finger Lakes terroir. Each vintage is viewed as an opportunity to express our region - to reflect its soils, its cool climate and its hillside lake terroirs. Our choices in the cellar guard the purity of our vineyards. Simply put, we make wine in the traditional, handcrafted manner. We harvest by hand. We sort by hand. We load the grapes into the press by hand. We shovel the vats out by hand. We employ spontaneous fermentation and ferment in very tiny lots, so that we truly understand the expression of the vineyard each year. We use very low levels of sulphur and don't fine or filter our red wines. Weighty for a Riesling, with a rounded feel and layers of creamed yellow apple, white peach and persimmon flavors. Delivers energy and cut throughout, with lemon pith, citrus oil and chamomile accents filling in. Shows length and range through the finish. Wine Spectator 90Alluring black tea, singed cinnamon and shaved vanilla notes meld into the core of gently mulled red and black cherry fruit. Features both silky and earthy nuances through the finish, giving this range and length. Drink now through 2020. 250 cases made. A partnership between Louis Barruol - Proprietor, Chateau de St. Cosme (Gigondas, France), Richard Rainey - Brand Mgr./Sales Educator, Winebow, Inc. (Finger Lakes, NY) and Justin Boyette - Winemaker/Partner, Hector Wine Company (Finger Lakes, NY). The first vintage was 2011. Wine Spectator 92"Ripe and distinctive, with a creamy edge to the Jonagold apple, heather, honeysuckle and jasmine flavors. Shows well-buried zip through the finish, adding length and definition. This is a step ahead of the pack. Drink now through 2018." Wine Spectator 91"This is pure and piercing, featuring a gorgeous persimmon, nectarine and white peach core flanked by lightly singed almond husk and lanolin notes, with a long, honeysuckle-filled finish. Features an exotic profile and a unique mouthfeel, but stays pure and focused overall."